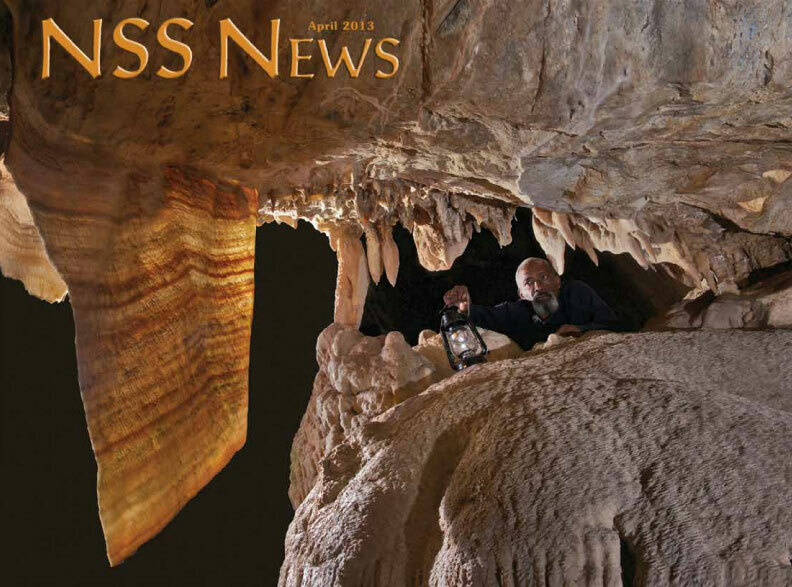 The April 2013 issue of NSS News is on its way and will soon be arriving in mailboxes. This annual cave conservation issue, assembled by NSS Conservation Division Chiefs Val Hildreth-Werker and Jim C. Werker, highlights the cave and karst conservation activities of members, including their efforts to help with the research and monitoring of white-nose syndrome. The issue begins with Dave Jackson’s report on how the CaveSim is being used to teach cave conservation, and followed by White Nose Syndrome Liaison, Peter Youngbaer’s 2013 update. Bern Szukalski then writes about the recently released White Nose Syndrome Story Map and interviews Bat Conservation International. Meanwhile, the Indiana Karst Conservancy’s newest acquisition, the Shawnee Karst Preserve, is detailed by Julian J. Lewis and Salisa L. Lewis, and Jonathan B. Beard and Val Hildreth-Werker write about the differences that NSS Conservation Task Forces are making. Some examples follow including an update on the High Guads Restoration Project by Jennifer Foote, Klaus Leidenfrost’s report on the Goodwin Sinkhole and Cave Clean-up Project and Caving News even contributes a story on the Twin Lakes Conservation Task Force keeping busy in Kentucky. 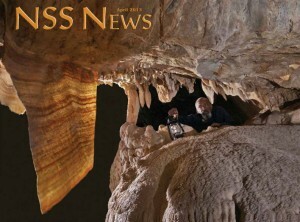 Other articles include Kriste Lindberg’s report on storm drain marking efforts during MayaCon 2012, a story by Julie Taylor-Smith on the new LED lighting system at Oklahoma’s Alabaster Caverns State Park, and Jonah Kidder tells of the efforts to conserve the caves of Ohio’s Rocky Fork Gorge. Finally Dave Bunnell cautions on the use of flagging tape on formations. NSS Members, even those with basic memberships who don’t usually receive publications, start watching your mailboxes.